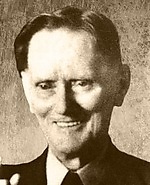 Info UPSHAW, William David - reform politician from Georgia. Born near Newnan, Coweta County GA 10/15/1866. His father, Isaac D. Upshaw, was a Confederate veteran, school reform advocate, shopkeeper, and farmer. The family moved to Cobb County in Upshaw's youth. Attended the country schools, the public schools of Atlanta, Ga.; engaged in agricultural and mercantile pursuits. Suffered a spinal injury in 1884 which left him in a body cast at first; over the years, he was able to graduate to a large brace, then later to a wheelchair, and finally to crutches. While bedridden following his accident, Upshaw organized a literary club and wrote articles for Atlanta newspapers and magazines. Wrote the book Echoes from a Recluse while bedridden; the book was reprinted 10 times. In 1890, Upshaw was able to use a steel jacket for mobility; a member of his literary club helped make an apparatus to enable him to travel in carriages to speak. Enrolled in Mercer University (Macon GA) 1895. Vice President of the Georgia Anti-Saloon League 1906; helped Georgia to become the first dry state in the South in 1907. ASL and WCTU lecturer. U.S. Representative (D-GA) 1919-1927. During his time in Congress, Upshaw held revivals in Washington and placed a special emphasis upon the personal integrity of members of Congress. Only member of Georgia's delegation to vote for the 19th amendment (female suffrage). Defeated for renomination by a Klansman in 1926. Following his defeat in 1926, Upshaw became identified with the Prohibition Party. Candidate for US President (Prohibition Party) 1932; waged a vigorous campaign in 20 states. When the vision left him, Brother Branham once again turned to the ushers and began to call for the prayer line to be formed. Brother Ern Baxter, the manager of the campaign, stepped to his side and told him that the man from the vision was in the building and had identified himself to an usher. His name was William D. Upshaw, and he wanted to speak to Branham. A microphone was handed down to where the invalid statesman sat in his wheelchair. "My son," he asked, "how did you know that I fell and hurt myself when I was a boy?" For the next few moments, the audience sat riveted as people passed before the humble man of God and were told of their ailments. "Others were being healed all around me," the congressman wrote later in his testimony. "Then, Brother Branham lifted his hands, saying, 'Lay your hands over on each other.' A great volume of of prayer ascended throughout the audience of more than 3000. Angels were hovering near!" Exhausted, Brother Branham was carried from the platform, but before he could exit the building, once again, by vision, he saw William Upshaw, and this time he was walking down the street without the aid of his crutches! A moment later, Brother LeRoy Kopp, pastor of Calvary Temple, rushed to the pulpit and announced, "Brother Branham says, 'The congressman is healed.'" William Upshaw retained the full use of his legs for the remainder of his life, and he traveled across the country testifying of his healing. In a message entitled "Who Hath Believed Our Report? ", preached on July 19, 1951, referring to Congressman Upshaw's healing, Brother Branham said: "I feel that he was the one that the Angel of the Lord was referring to when He met me and said, `You'll pray for great men, statesmen, kings of the earth.'" Died in Glendale CA 11/21/1952, shortly after a speaking tour to 22 states and seven foreign nations; interment in Forest Lawn Cemetery, Glendale. Shortly before his accident, he had given his heart to the Lord Jesus, and now he turned to the only One he knew who could sweeten the cup of bitterness that had been thrust upon him. He testified throughout his life that "The Lord Jesus who had given me a new heart in Him, walked with me through the valley, and made that vale of tears for seven years a mountain height of joy and victory." Between the years of 1933 and 1952, William Upshaw traveled across the United States as president of the National Christian Citizenship Foundation, preaching against liquor and Communism. He was ordained as a Baptist minister in 1938 at the age of seventy-two. Four years later he once again tossed his hat into the Georgia political arena as a senatorial candidate and, once again, he was defeated.